One of Lydbrook Band’s many success stories over the years has been the formation of its Training Band. The band meets on a Monday evening in Lydbrook Bandroom from 6.30pm to 8.00pm and consists of about 20-25 players ranging in age from 8 to 70. No-one is ever turned away and no-one is ever too old to learn. All players are welcome and we will supply an instrument free of charge if you haven’t already got one. 2013, Lydbrook Band’s 90th Anniversary year, has been a very successful one for the Training Band with a Gold Award and First Prize at both Gloucestershire Association Contests in February and November. As well as contests the Training Band has performed at a number of charity events and is always pleased to help out in and around the community. They are also included on two tracks of the band’s 90th Anniversary CD (click here for information). We should all be very proud of our Training Band; it’s as strong as it’s ever been with up to 30 members present at rehearsals on Monday evenings, which includes our four senior band regular helpers, Yvonne, Barb, Paul and Luke. We are starting to develop some fine young players and hopefully one or two of them might make their way into the senior band in the years ahead. But the Training Band is not all about young people because we have quite a few older members and it’s a pleasure for me to see the relationships developing between the different age groups. Last year was a busy year with many concerts given in the locality and this year the Training Band will be performing concerts in aid of the Orchard Trust, Great Oaks Hospice and of course at our own band fete on Saturday 15th July at Lydbrook House, Lower Lydbrook. They also enter a couple of contests every year and have maintained a very high standard, gaining gold awards at the two GBBA competitions last year. They never fail to amaze me with their dedication and performances in public. 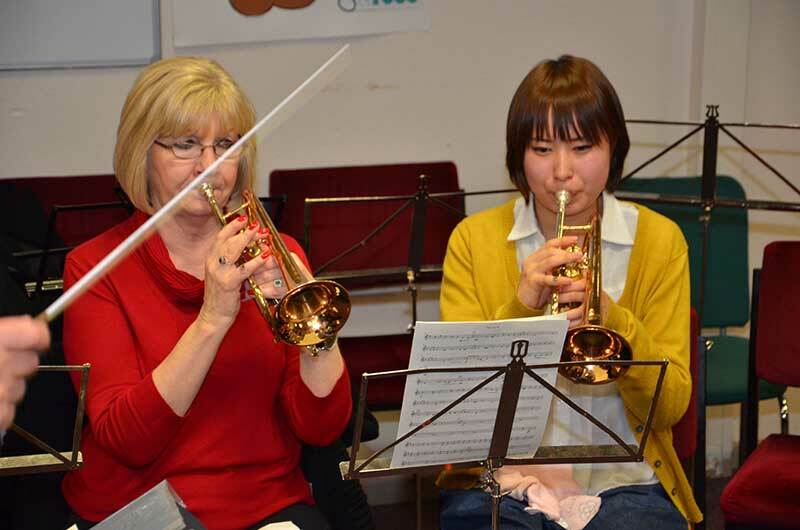 If anyone knows of a young or older person wanting to learn a brass instrument please give me a call on 01594 860944; we’re always looking for new talent. Look out for the Training Band performing somewhere near you in the coming months or click on ‘Events’ on our Home Page for all band engagements. December 7th saw us at another of our favourite events - the annual Christmas carol concert in Christchurch Church in aid of the Orchard Trust, with whom we have a strong relationship. This is an organisation local to Lydbrook which provides homes, respite, leisure, and education for people with learning disabilities. The event is always very well attended and the audience was very appreciative of our efforts. We have a number of new members due to join the training band in the new year. It is very encouraging to see more youngsters coming in; they are, after all, the future. We were pleased to welcome a visitor from Japan. Minori, who is a trumpet player, came to listen to the senior band rehearsing St. Magnus and then joined in with the Training Band the following evening (click here to see more pictures of Minori). I saw the practice of your band on last Sunday and joined the practice of the training band on last Monday. I was excited and really enjoyed! And I listened to the CD you gave me. I put the music into my walkman. From tomorrow, I will go to the practicing canp of my jazz band. I'm going to tell about the wonderful experience to the club members! I'm looking forward to listening to your music again. Sunday 2 February 2014 saw Lydbrook's Training Band return to the Larruperz Centre in Ross-on-Wye for the annual GBBA Entertainment Contest with Robert putting together an uplifting programme of traditional and fun music. Competing against four other bands, the training band kicked off the competition with the march ERBA, inspired from a small town of the same name in the Lombardy region of Northern Italy. The next four pieces showcased five of the band's young musicians: Silver Threads Amongst the Gold performed by tenor horn player Jack Lythaby; Hine e Hine, featuring flugel horn player Jacob Day; Wallace and Gromit featuring cornet player Stephen East and L'Elephant (from Saint Saens' Carnival of the Animals) played by Ieauf Griffiths and George Stratford (Eb bass). The finale of the band's programme was Rondo from Little Suite for Brass. 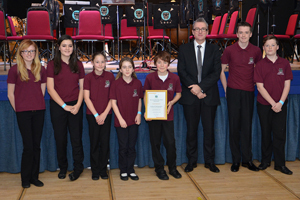 The band gave a very solid performance in front of adjudicator Ian Porthouse (MD, Tredegar Band) and were richly rewarded with a gold standard certificate and best band in section prize. Ian's feedback on the band was very positive; he praised them for their energy, choice of music and overall performance. It was a great day and was testament to the effort and fun had by all concerned. 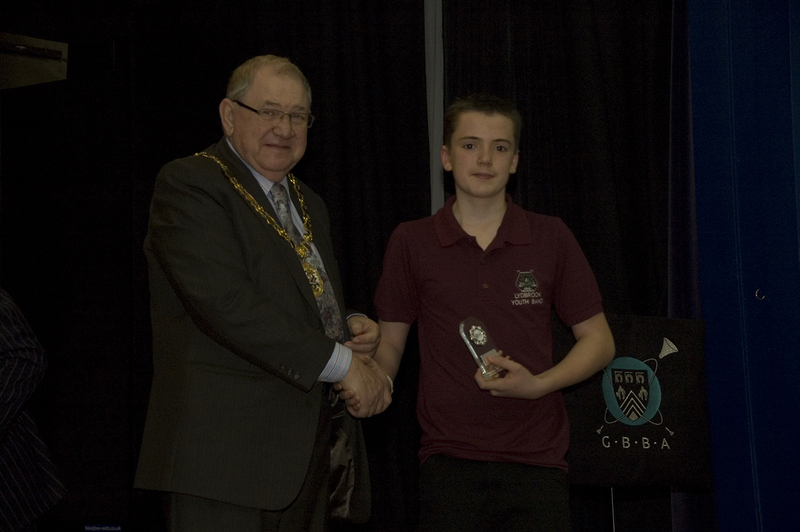 Success for the Training Band at GBBA Entertainment Contest on 3rd February 2013 - Gold award, Best Band in Section and Best Solist for Jack Lythaby. 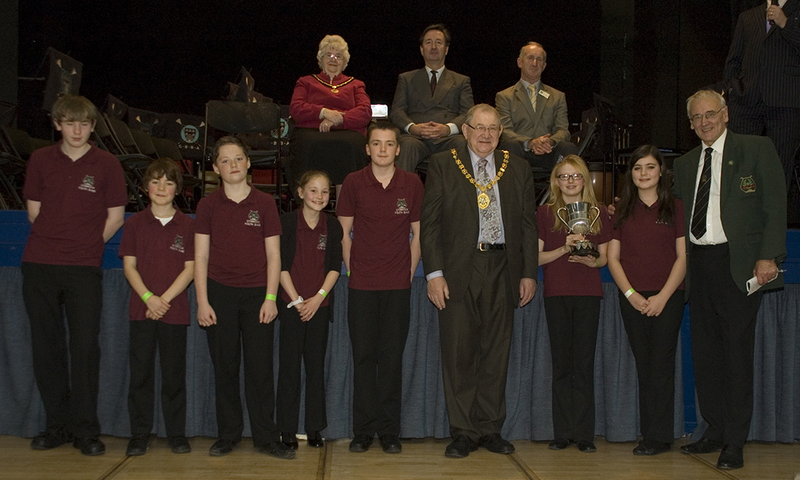 The Training Band took to the stage at the annual GBBA Entertainment Contest, held at The Larruperz Centre, Ross on Wye. The Adjudicator for the day was Dr Graham Jones MBE. 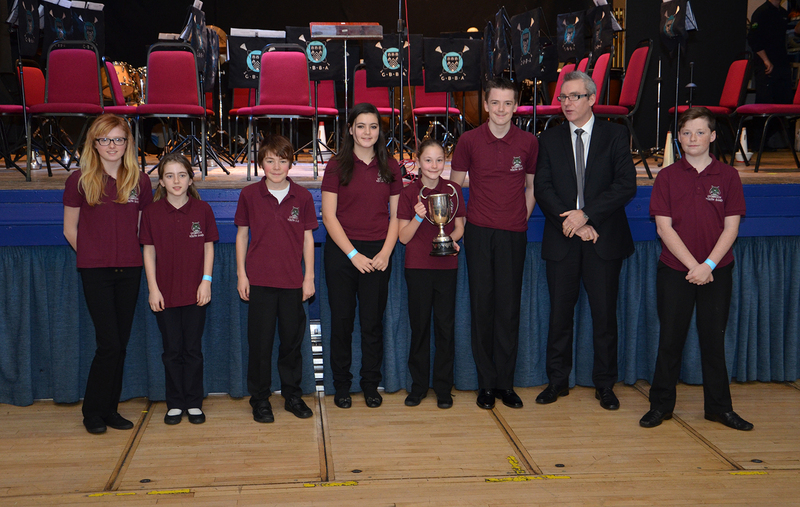 Following the unfortunate withdrawal of Cwmtawe Youth Band, Lydbrook found themselves competing against Abergavenny Borough Youth, City of Bristol Learners and Lydney Training bands, all of whom gave a very confident and positive account of themselves. Lydbrook’s programme (which made use of three arrangements by our own Bb Bass player, Paul Ainsworth) consisted of: Barnard Castle, The Muppets, Iona (soloist – Jack Lythaby, Tenor Horn), Crazy Little Thing called Love, There’s a Tavern (duet - Ieuaf Griffiths and George Stratford, Eb Bass) and I will Follow Him. The Gloucestershire Youth Brass Band are seeking new, talented young brass and percussionists to join one of the top county youth bands in the country. 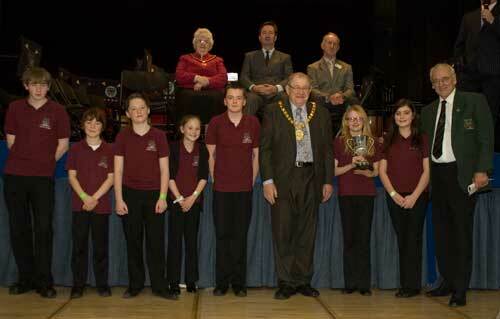 In the last 12 months, members of the County Youth Brass Band have competed at the National Youth Brass Band Championships in Manchester (winning in 2009) and performed at such venues as the Dora Stoutzker Hall at the Royal Welsh College of Music and Drama, Symphony Hall in Birmingham and the iconic Royal Albert Hall in London. The band meets once a term with courses and day events working with guest soloists and conductors and participating in regional and national youth music festivals. Steve Legge (Head of Instrumental and Vocal Tuition for Gloucestershire Music) said: ‘To represent your county is an honour. The GYBB are looking for dedicated young brass players and percussionists to join in 2013. Our mission is quite simple: to work with the very best conductors and soloists and perform at the highest level of youth music making. In short we aim to inspire. The band is organised by Gloucestershire Music and the Gloucestershire Brass Band Association who strive to support and develop young musicians to their full potential’. If you are interested in joining the band then you should be aged 12 or above and at least grade 5 standard on your main instrument. Auditions will be held in early January. 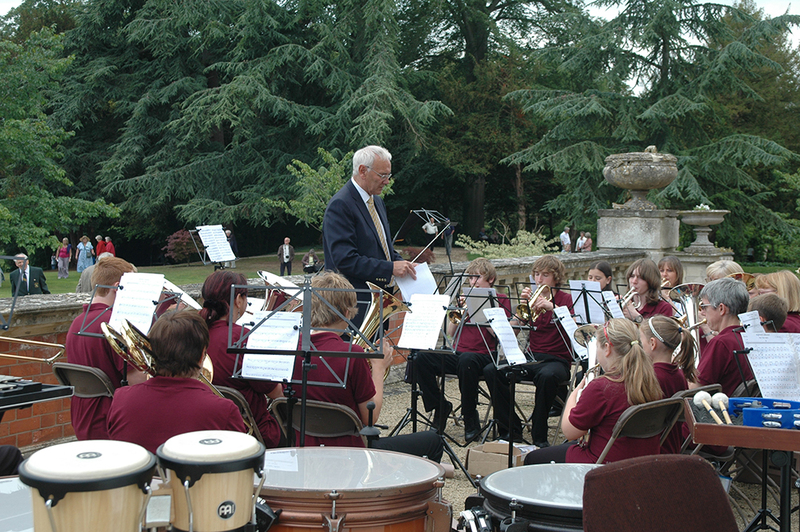 As usual the Training Band has been busy during the past few months and enjoyed playing at the GBBA 75th anniversary celebration at Highnam Court on Saturday 7th July. It was a great experience for the members to join in the massed band event and they were all particularly excited about playing with such a huge number of players (approximately 170). The band's bi-annual visit to Drayton Manor was thoroughly enjoyed by everyone. Some were braver than others when it came to the rides but everyone had a great time. The older members of the group enjoyed watching from ground level! The last rehearsal for the summer will be on Monday 23rd July in conjunction with the annual end of season barbecue followed by the band's Garden Party at Lydbrook House on Saturday 28th July at 2.30 pm. The first rehearsal after the summer break will be on Monday 10th September at 6.30 pm when we will start to rehearse new music for the autumn and Christmas concerts. I mentioned to you all in the last news update of a busy time ahead for the Training Band and what a successful couple of weeks it was too. First of all we attended the contest at Crosskeys, competing against eight community/independent bands, where we were awarded a very creditable third prize from adjudicator Brian Buckley. 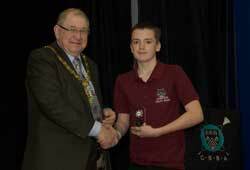 Otis Williams, our principal euphonium player, gave a magnificent performance of Grandfather’s Clock which won him the best soloist in the section prize plus some outstanding praise from the adjudicator. It’s always a pleasure for me to conduct and work with the Training Band, but this performance was really outstanding and one of the best contest performances from the band in recent years. 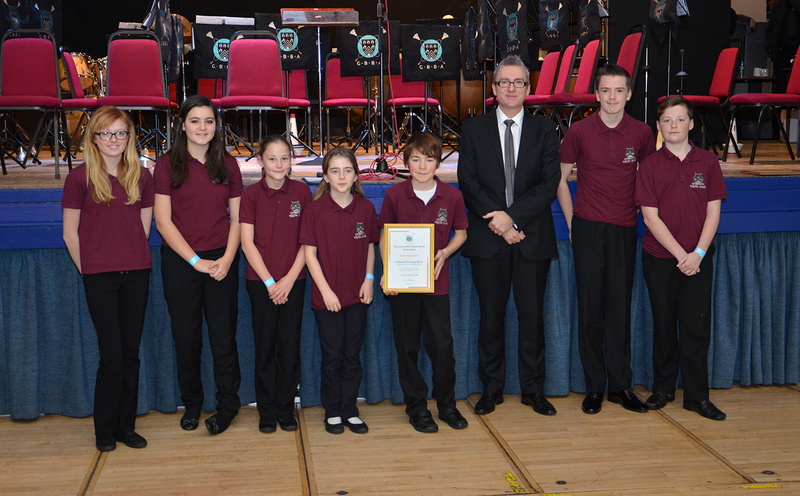 The following week we attended the GBBA Entertainments Contest in the new venue at Ross-on-Wye where again the Training Band gave an excellent performance and were awarded a Gold Certificate from adjudicator, Philip Harper. At both events George Stratford and Ieuaf Griffiths gave excellent performances of “The Elephant” from Carnival of the Animals and Ollie Pugh a superb rendition of the solo in “Highland Cathedral”. Stephen East gave his first solo performance playing “I Don’t Know How to Love Him” and Ryan Morgan also his first contest solo performance with “The Acrobat”. 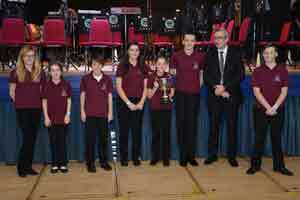 They both played very well indeed and were highly praised by the adjudicator. Well done to the Training Band, the soloists and a special mention to the new members, Adey Wildin, Sam Horton and Reuben Arnison, who did very well in their first contests with the band. Thanks to the members of the band and committee who at short notice provided refreshments for the GBBA Entertainments Contest at The Larruperz Centre, Ross-on-Wye. What a wonderful experience the National Youth Championships were, and I'm referring to our enjoyment of the occasion as members of that audience. Lord knows what the boys and girls of Lydbrook Youth Band made of it; to face an auditorium packed to standing and to receive such an ovation when they entered! The excitement amongst all the bands as they thronged the public areas outside the concert halls was palpable; but nothing like the air of expectation we in the audience felt as the time for 'our band' approached. We didn't see the whole concert of course, but we heard the six bands preceding Lydbrook. And there were some big bands there. But size isn't everything. Invidious to mention names but we knew our boys and girls were as good as - if not better - than at least two that we heard. And then came Rochdale Borough Youth. Beautiful, sublime music and we thought, there's a prizewinner. Now Lydbrook, follow that! And they did. Your selection of programme was an excellent climax to the afternoon. It had pace, rhythm, light and shade, control. A village band? Gosh we were so proud of you. The wall of sound that greeted Ben and the band at the conclusion of 'Grandfather's Clock' - not just from the Lydbrook contingent but from everyone in the audience, that literally spoke volumes! As you can tell we were pretty excited by the whole event. You must be very proud of your boys and girls. To enter that arena as a national event, with all the additional pressures of competing on a big stage with 'big bands' is a daunting prospect but I have no doubt they - you - can compete for a major prize with these boys and girls. I hope so because we want to come and cheer you on again on the 10th April next year. Meanwhile congratulations on your Bronze certificate, and thank you for a brilliant day.